Amongst the heaviest birds, it is on the brink of extinction, being critically endangered by hunting and loss of habitat. It finds mention in history books as a delicacy from time of Babur and it was a top gaming bird during the British rule. Tribal Bhils are claimed to have used a technique for trapping females that involves setting twigs on fire around the nest containing an egg or chick. The female was then said to run to the nest and singe its wings upon which the tribals captured it. Indira Canal in Rajasthan increased agriculture but reduced its habitat thereby causing them to migrate to Pakistan where hunting pressure is very high. 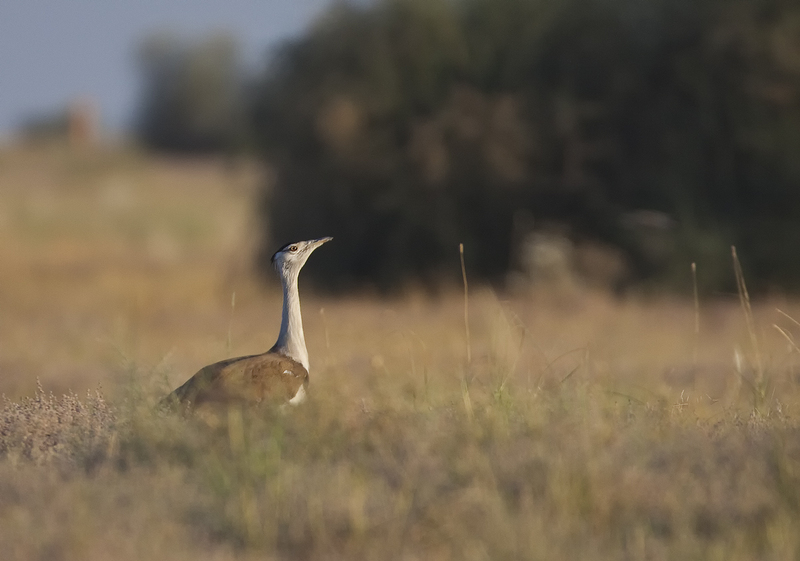 When the “national bird” of India was under consideration, the Great Indian Bustard was a proposed candidate (strongly supported by the Indian Salim Ali), but dropped in favour of the Indian Peafowl with at least one reason being the potential for being misspelt.